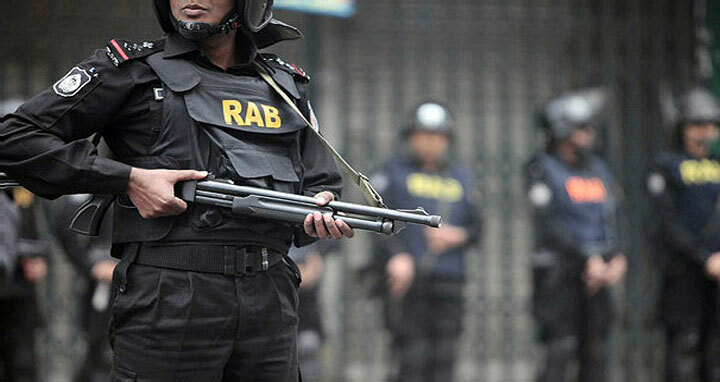 Dhaka, 18 August, Abnews: The Rapid Action Battalion (RAB) has taken stringent security measures across the country particularly in the capital for peaceful celebration of the Eid-ul-Azha. “We have been implementing a two-week security plan for smooth and peaceful celebration before, during and after the Eid-ul-Azha. Some 245 patrol teams and 56 striking forces have been working across the country to make the security foolproof,” Director General (DG) of RAB Benazir Ahmed told a press briefing at Kawran Bazar here. Besides, RAB has a plan to take elaborate security measures at Eidgahs, mosques, cattle markets, highways, terminals to put a security blanket across the country, he also said. Replying to a query about any threat ahead of Eid, the RAB chief said that they have prepared the security plan taking everything in mind, adding that intelligence surveillances have been intensified to oversee the activities of underground and active militant organizations.